Last Week in Review: New Home Sales rebounded in April, while the latest Gross Domestic Product reading showed the economy struggled in the first quarter. Forecast for the Week: Look for key reports on inflation, manufacturing and the labor sector. View: Make all your video conferences successful by following these easy tips. Last Week in Review: The U.S. economy had a strong third quarter, while recent housing reports show signs of slowing in that sector. Forecast for the Week: On Friday, the Jobs Report for December could be a market mover. View: If you received new electronics over the holidays, see the tips below for selling, recycling or donating your old gadgets. “It’s a new dawn, it’s a new day…and I’m feeling good.” Nina Simone. The new year is here, and with home loan rates still near historic lows, 2015 rang in with plenty for consumers to feel good about. Here are some other highlights from the end of 2014. The final reading for Gross Domestic Product (GDP) for the third quarter of 2014 came in at a blistering 5.0 percent, the fastest pace of economic growth since the third quarter of 2003. The big gains were led by a surge in both consumer and business spending. GDP is considered the broadest measure of economic activity, so this is a strong sign for our economy heading into the new year. In housing news, the October S&P/Case-Shiller Home Price Index came in at an annual rate of 4.5 percent, down from the 4.8 percent recorded in September. The October reading was the eleventh straight month of decelerating price gains. It was also the smallest annual gain since October 2012, as price gains return to more normal levels. 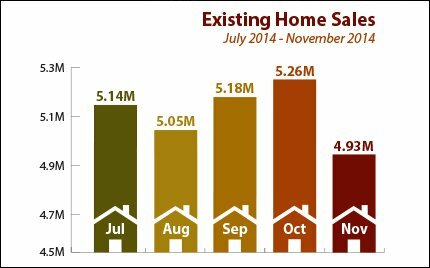 Also of note, sales of new and existing homes fell in November as well. 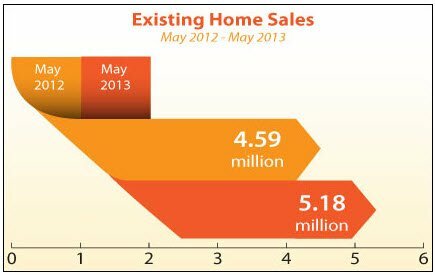 The housing market continues to remain in a somewhat choppy trend, despite an improving economy and job market. As we look ahead into 2015, the uncertainty in Europe will continue to rear its head over time. The European Union (EU) is fighting deflation, recessionary pressures, a Greece exit from the EU, and limited political capital required for the necessary fixes. This could lead to safe haven trading in our bond market, helping Mortgage Bonds and home loan rates (which are tied to Mortgage Bonds) in the process. Last Week in Review: While lower oil prices are giving people reason to cheer, there was some disappointing news in the housing sector. 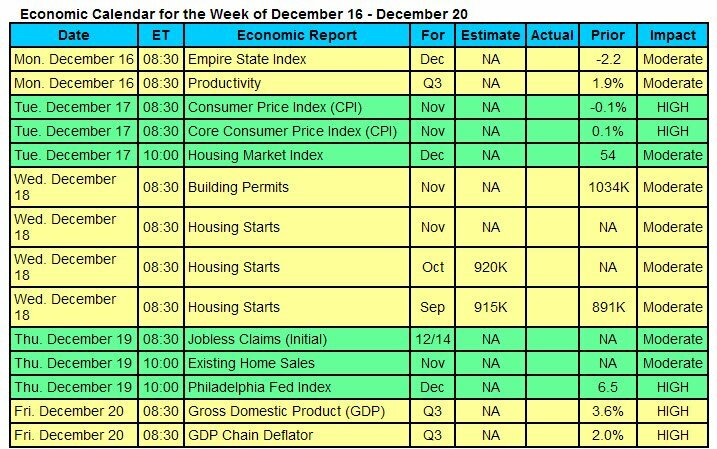 Forecast for the Week: A full slate of economic reports will be released ahead of the Christmas holiday. View: Saying “no” can be easy with these five tips. “You make me wanna (Shout! )” These days, many people are shouting for joy as gas prices continue to plunge. But was the rest of the week’s news cause to celebrate? Read on for details. 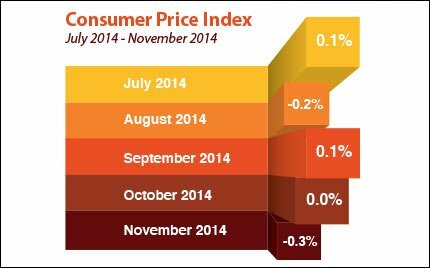 Falling gas prices were definitely a key factor leading consumer prices lower in November, as the Consumer Price Index fell by 0.3 percent. The inflation-reading gauge posted its largest monthly decline in six years. Low inflation is good news for Bonds, as inflation reduces the value of fixed investments like Bonds. This means low inflation is also good news for home loan rates, which are tied to Mortgage Bonds. 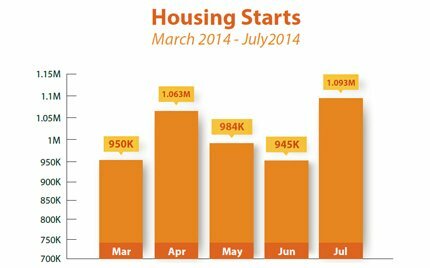 Over in the housing sector, November Housing Starts fell by 1.6 percent from October to an annual rate of 1.028 million units. Single-family starts fell 5.4 percent, while the volatile multi-family segment rose by 6.7 percent. Building Permits in November also declined. Despite these decreases, the housing sector has been improving overall. In addition, the recent strong Jobs Report for November is a good sign for economic growth next yearâ€”and that should help the housing sector continue its otherwise improving trend. Also of significance: The Fed held its last Federal Open Market Committee meeting of 2014, and it noted that it will keep the Fed Funds Rate (the rate banks use to lend money to each other overnight) low until it feels that the economy can function normally with higher rates. This led to a rally in Stocks, while Mortgage Bonds and home loan rates remain near 18-month bests. The first half of the week will be busy, with key reports on housing, inflation and economic growth. In the housing sector, Existing Home Sales for November will be released on Monday. November New Home Sales follow on Tuesday. 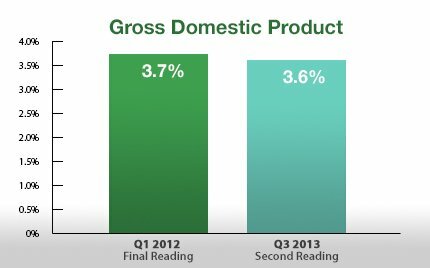 The final reading on third quarter Gross Domestic Product will be closely watched when the numbers are delivered on Tuesday. 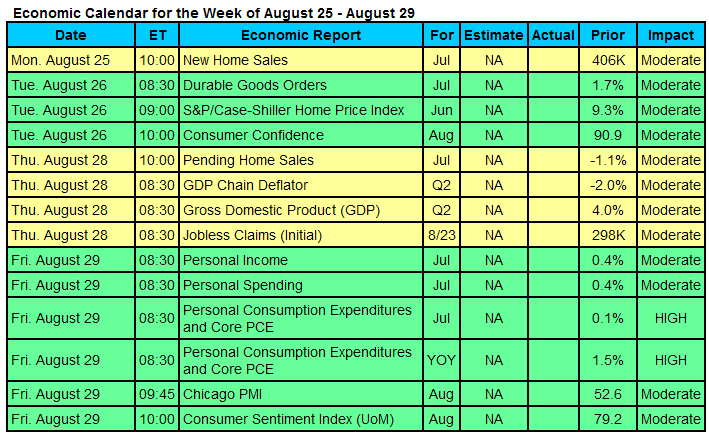 Tuesday also brings several more key reports, including the Consumer Sentiment Index, Durable Goods Orders, Personal Income, Personal Spending and Personal Consumption Expenditures (the Fed’s favorite measure of inflation). 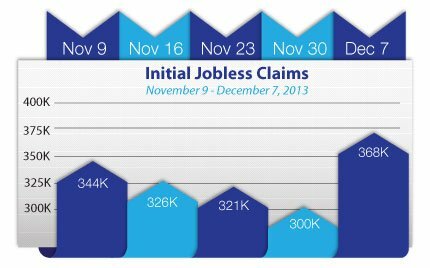 Weekly Initial Jobless Claims will be released on Wednesday instead of Thursday due to the Christmas holiday. The Stock markets will close early at 1:00 p.m. EST on Wednesday, December 24, while the Bond markets will be closing at 2:00 p.m. EST. All markets will be closed on Thursday, December 25 in observance of Christmas. On Friday, December 26 there will be normal market hours. As you can see in the chart below, Mortgage Bonds remain near 18-month highs, meaning home loan rates are still hovering near historic lows. The holidays aren’t the only time of year people over-commit themselves and being able to say no isn’t always easy. But there are ways to say no that make all the difference, and can help you preserve both your sanity and your relationships. Please feel free to pass these great tips along to your team, clients and colleagues! Filed Under: Mortgage News Tagged With: Christine Carter, Consumer Sentiment Index, Durable Goods Orders, Existing Home Sales, Gross Domestic Product, Personal Consumption Expenditures, Personal Income, Personal Spending, Ph.D.
Last Week in Review: The housing sector continues to improve, as home loan rates remain near annual lows. Forecast for the Week: Look for news on housing, inflation, consumer confidence and the state of our economyâ€”all ahead of the Thanksgiving holiday. View: Get more from your lunch hour with these great tips. Last Week in Review: Key reports indicate that the housing recovery is back on track, while inflation remains tame. Forecast for the Week: August ends on a busy note, with important reports on housing, inflation, economic growth and more. View: Need some extra help at the office? Check out these six steps for hiring an intern. “There is nothing as sweet as a comeback.” Anne Lamott. That’s certainly true when it comes to the housing sector, as recent reports indicate that the stall in the housing recovery seen late last year and in recent months may be over. Housing Starts for July surged by nearly 16 percent to an annual rate of 1.093 million, above expectations and up from the 945,000 in June. Building Permits, a sign of future construction, also came in above expectations while Existing Home Sales for July increased by 2.4 percent from June. In addition, the National Association of Home Builders Housing Market Index, which is a measure of builder confidence, rose two points to 55 in August from the 53 recorded in July. This was the third straight monthly gain and brings the index to its highest level since the 56 recorded in January. As a rule, 50 is the line between positive and negative sentiment. All in all, these reports are a good sign that the housing sector is coming back strong. In other news, despite signs earlier this summer that inflation may be heating up, the latest reports show that inflation at the consumer level remains tame. 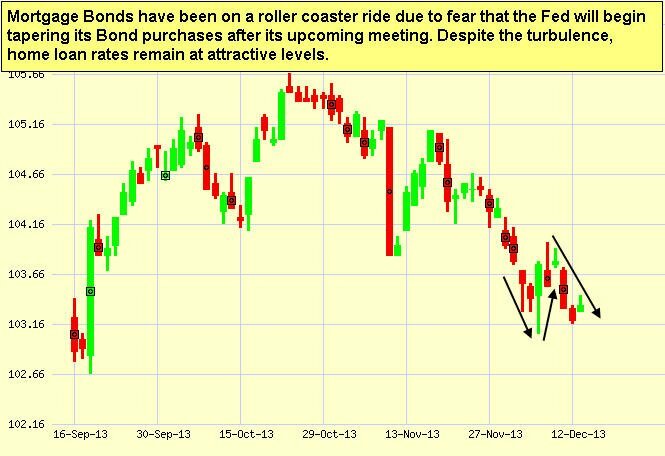 This is good news for Bonds, as inflation reduces the value of fixed investments like Bonds. And since home loan rates are tied to Mortgage Bonds, tame inflation is typically good news for home loan rates as well. The economic calendar is packed this week with key housing, inflation, manufacturing and economic growth data. Housing news kicks off the week with July New Home Sales on Monday. The S&P/Case-Shiller Home Price Index follows on Tuesday, with Pending Home Sales for July being reported Thursday. We’ll get a sense of how consumers are feeling with Consumer Confidence on Tuesday and the Consumer Sentiment Index on Friday. Look for Durable Goods Orders (i.e. orders for items that last for an extended period of time) on Tuesday. Important news is ahead Thursday with the second reading of second quarter Gross Domestic Product. Weekly Initial Jobless Claims will also be reported on Thursday. Claims continue to hover near the 300,000 mark. 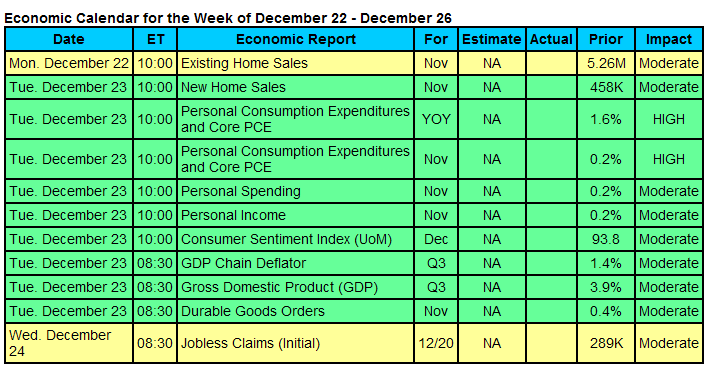 Friday wraps up the week with Personal Income, Personal Spending and Personal Consumption Expenditures, the Fed’s favorite measure of inflation. Regional manufacturing news via the Chicago PMI will also be reported. 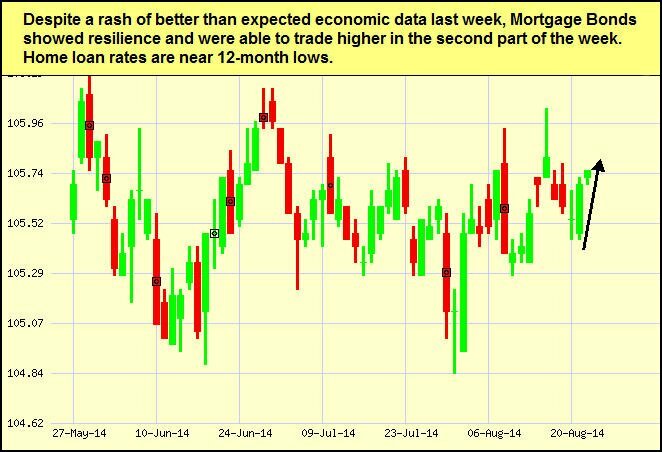 As you can see in the chart below, Mortgage Bonds improved in the latter part of the week despite the positive housing data. 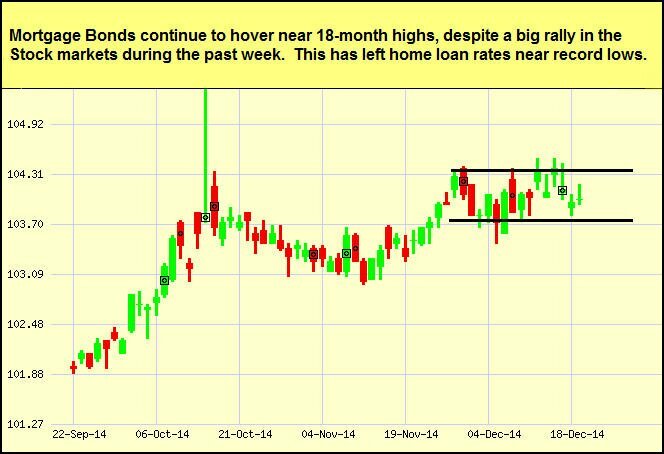 Home loan rates remain near some of their best levels of the year and I’ll continue to monitor them closely. Create a clear, meaningful job description. Do you need someone to focus on a special project or a social media coordinator to expand your social media outreach? Include the time commitment (usually up to 20 hours per week) and preferred work hours. 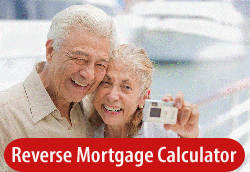 Finally, outline the compensation (e.g., hourly wage or stipend). Recruit candidates. Turn to social media, your networks, and local colleges and universities. Provide the job description for reference. Prepare a workspace. Your intern will need a computer and a comfortable space. A phone may be necessary if the intern is calling contacts on your behalf. Plan for mentoring and supervision. Your intern will be learning everything from job responsibilities, to appropriate dress code, to performance expectations, and office protocol. Plan for guidance every step of the way. Give specific feedback. Concrete praise encourages a repeat performance. Concrete constructive feedback allows for corrective action. If you work with a college, you may have additional requirements of reporting to an internship coordinator or having a site visit. Offer to be a reference. Internships aren’t expected to lead directly to a job with the host company. Offer to be a reference and speak about your interns’ job responsibilities and strengths with their prospective employers.